Alright, you want to get in shape. 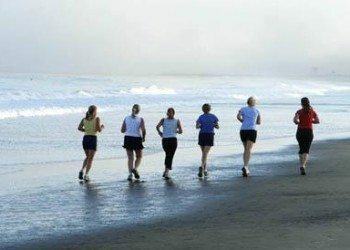 You feel like you are “Born to Run” or at least running is a form of exercise that you have actually done before. But should you do it to get in shape? I am not sure running is the best solution for some people just beginning to get in shape. Especially, if you haven’t done anything for years because of its high impact nature. For most people running seems to be an easy solutions to getting some exercise and to dropping a few pounds. All you have to do is put on some running shoes and go outside and pound out a few miles a couple days a week. The REALITY is it isn’t that easy and the risk of injury is high. And for most of us we are just flat out SLOW when we start running or should I say jogging. Solution: Interval running. That is right you can start out running fast for half the time and walking the rest. What makes this even cooler is that you get just as far as you would if you tried to keep running the whole time. Don’t get me wrong, you have to push yourself when you are running. The running part of the interval is the important part and running as fast as possible for the given interval is vital to getting results. Interval running is going to get you running faster because you will be training to run faster. 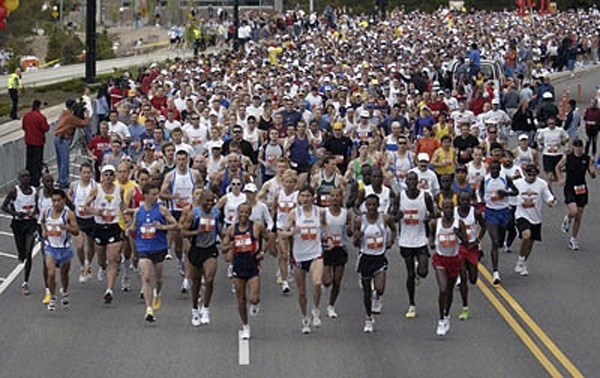 Novel idea I know, but then why does everyone start out running as far as they can instead of as fast as they can? AND the metabolic demand of running as fast as you can is greater than running as far as you can. That is right you will be burning more calories during your workout and for up to 72 hours after your workout. 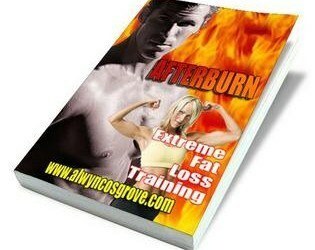 If you aren’t familiar with the AFTERBURN Effect taught by Alwyn Cosgrove it is about time you learned about it. The metabolic demands of interval training and high intensity resistance training are so high that your metabolism will keep burning additional calories after you workout. Great article Skyler, although I would not recommend for people just starting out running to run intervals as their risk for injury would be quite high. Get into running shape first – and then go for it. This week I went running for the first time in YEARS. In fact, as the asthmatic nerd who brought doctors notes to gym class (preschool through college), it’s possible that I’ve never actually run before. Once safely out of view of passersby, I bolted as fast as I could, then went slow for a bit and ran again. It was a totally different feeling from jogging—or, as I like to call it, slogging. I could totally get into interval running. Wish me luck on run #2!